Hi there everyone! We are all always looking for budget friendly ideas for our home, a DIY basically. Some of us are talented in that area, others have the ideas but just need someone to actually do it! Here are two fun ideas i assure you, you can do yourself! You have a chest of drawers that needs some primping? 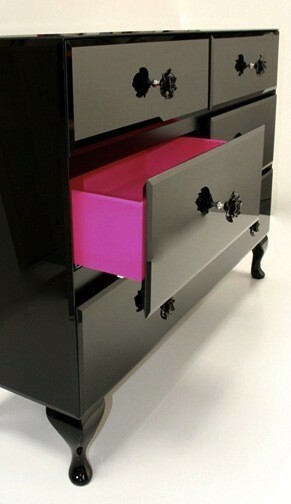 Paint the inside sides of the drawers with a popping color, and voila, you can enjoy it every time you open them! Love the cinnamon stick idea! 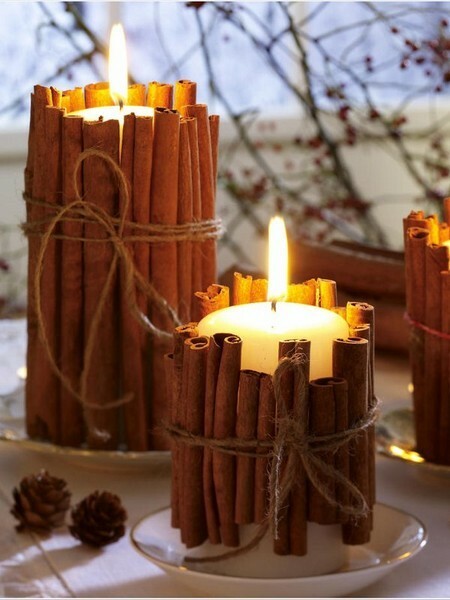 I had seen this with twigs and driftwood, but the cinnamon makes it festive and definitely smells better!